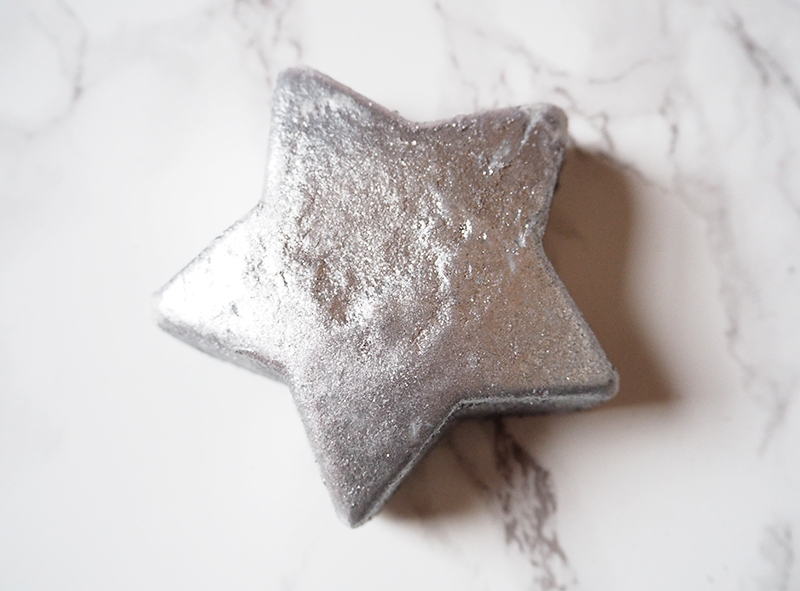 Now Star Light, Star Bright (£4.25) is one of the most glittery products I have ever tried. I mean honestly just look at all that shimmer. 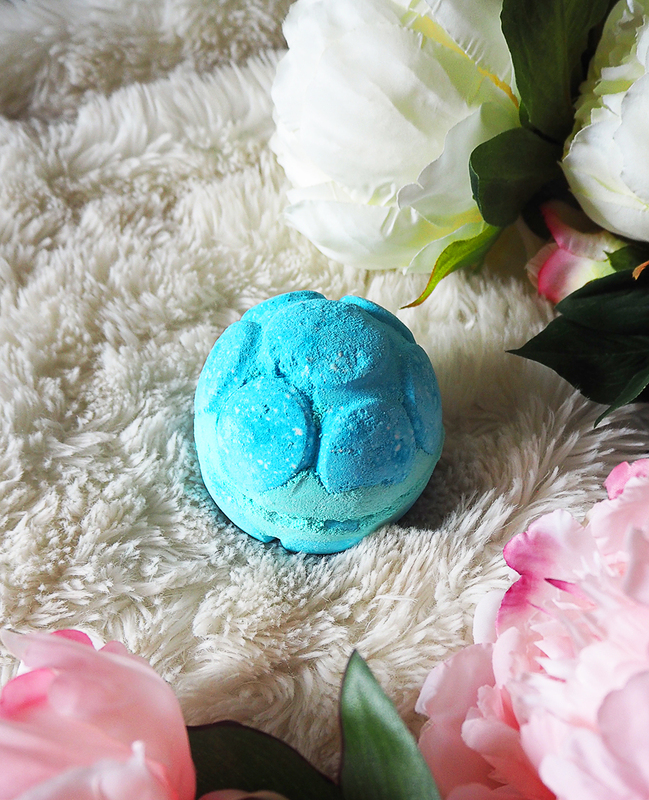 It is very pretty but pick up with caution because you will get glitter all over yourself! 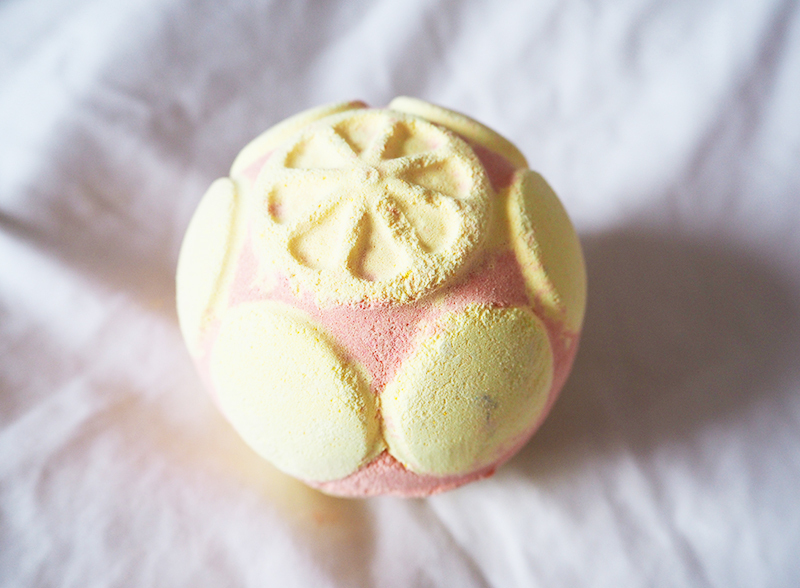 To be honest when I first saw this I actually thought it was a bath bomb, as I don't usually use Lush's bath melts so I was even more excited to give it a go as I haven't tried that many bath melts before. Scent wise I really wasn't able to put my finger on what this smells like. According to Lush it's a mixture of Chinese ginger and lime oil but for me this was a very subtle scent that I honestly didn't notice. 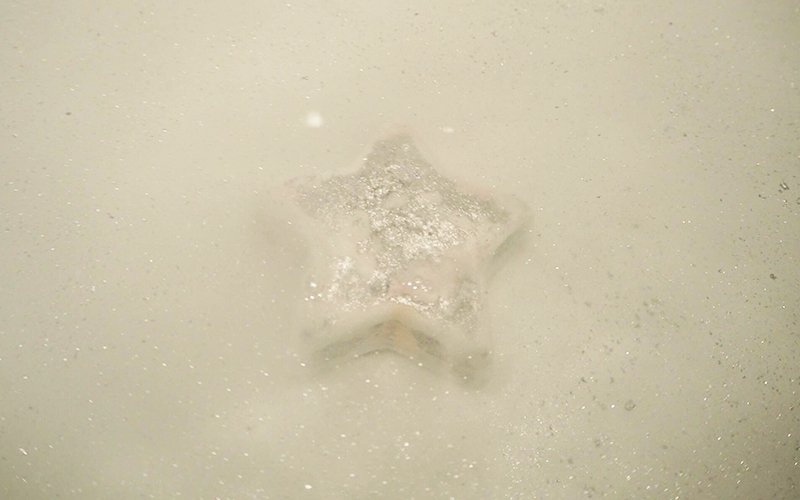 But anyway there's my thoughts on Lush's Star Light, Star Bright Bath Melt. 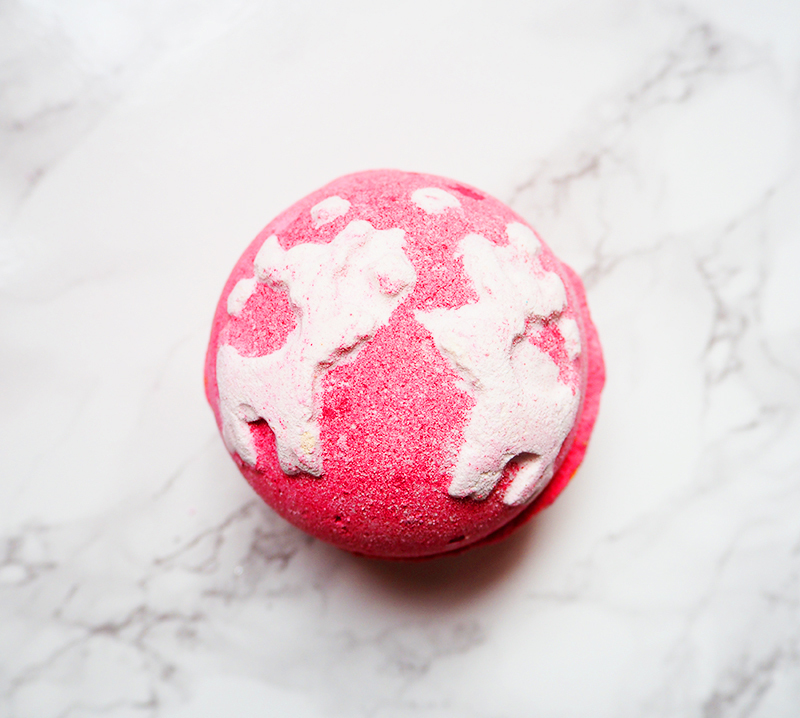 To be honest I think this is one that will make a great gift as the colour reveal is really quite magical and it is so lovely and moisturising. 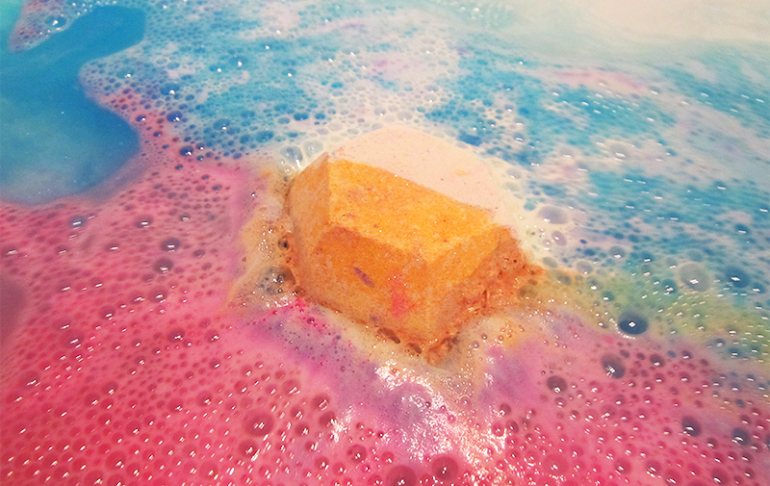 But do we need that much glitter Lush, do we? I looked at the date today and I was shocked at how close to Christmas we are. Seriously the end of this week is Christmas Eve and I am just so excited for it! Yay for Christmas Eve being on a Sunday too! 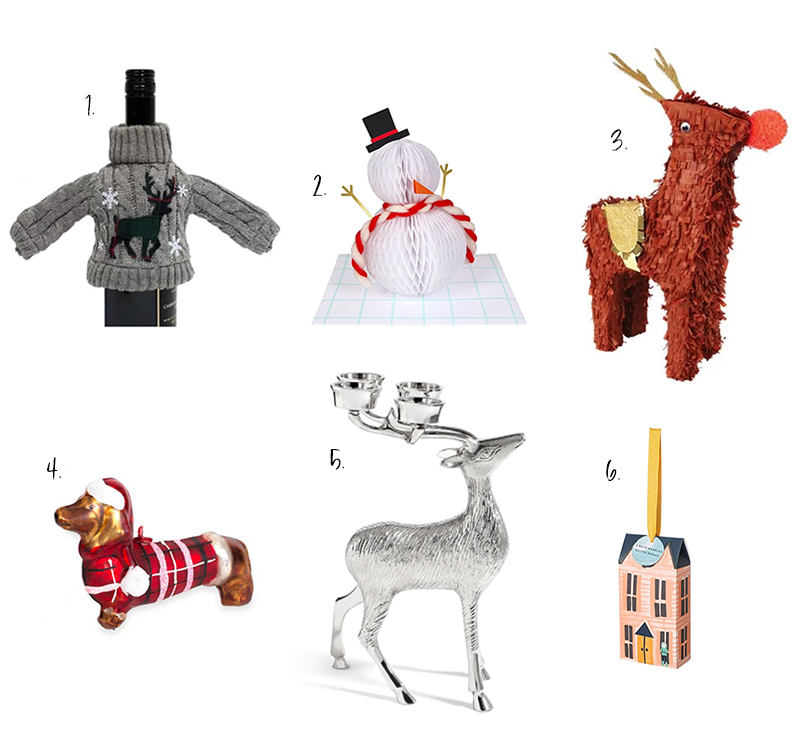 This week's picks are suitably festive and from Paperchase, Asos, Oliver Bonas, OhhDeer and M&S! It's December and you can just feel that Christmas is in the air and I am so totally ok with that. 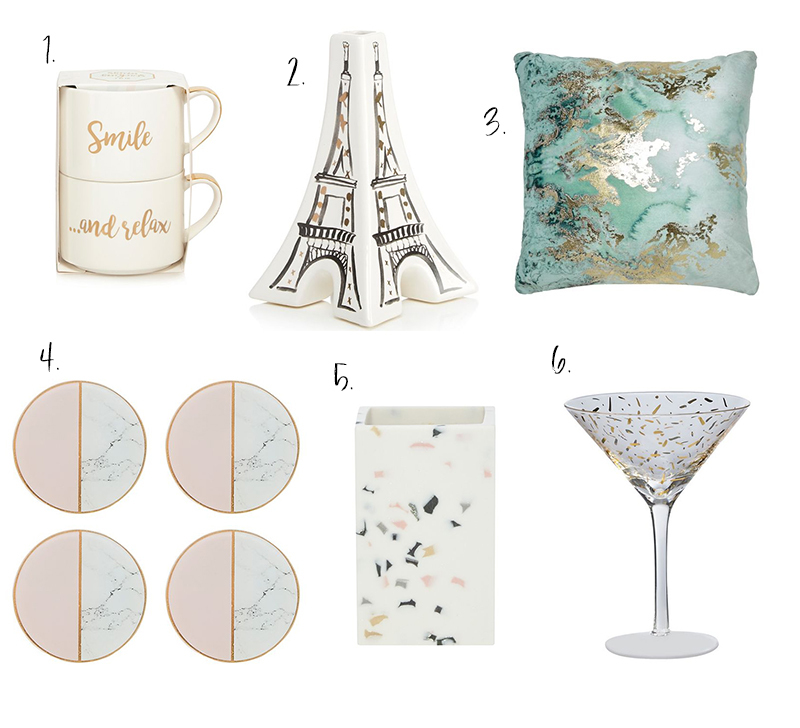 But this week I thought I'd go for something not so festive because there is a LOT of Christmas content coming... All this week's picks are from Trouva! Wow what a busy couple of weeks I've had! But luckily it's all for good reasons as I started my new job today as a social media executive and I am very excited for this new chapter. Of course this means that I'll have less time to blog, but funnily enough when I'm busy I seem to blog more (logic?). Things have been a bit all over the place lately (well as usual) so sorry for the sporadic nature of my blog posts. 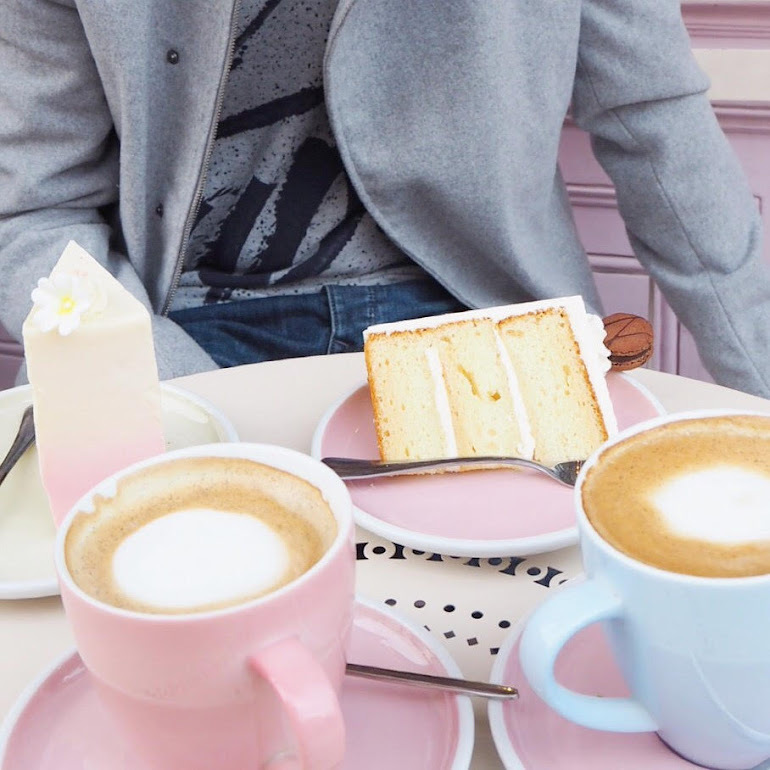 At the moment I'm really considering where I want to take this blog, so have a little patience! But if you do want to keep updated I have a newsletter which you can sign up to here. 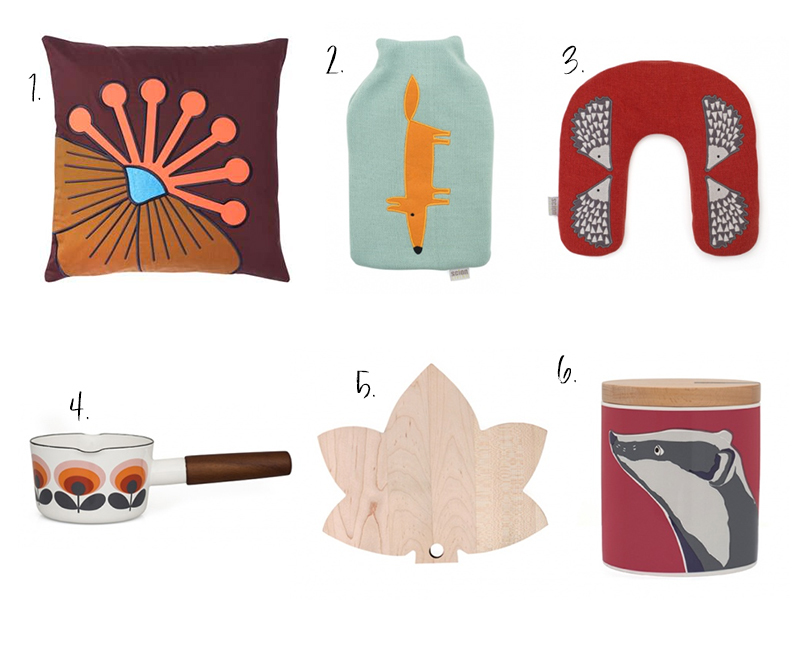 Before we get into the homeware, I have some exciting news - I'll be doing a weekly newsletter! 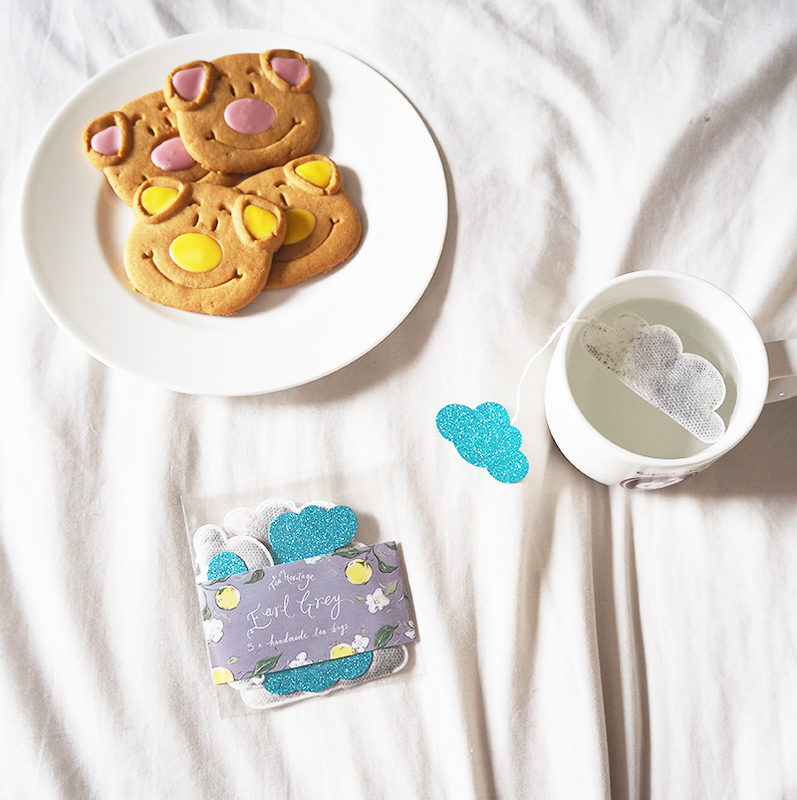 It'll contain a bit of a catch up, adorable things I love and will hopefully be a happy addition to your email inbox. You can sign up here to get it every Wednesday, starting from this week! For weeks now the Harvey Weinstein revelations have been swirling around in my brain. I've sat and thought and got angry about it all, only for more and more cases to come out in the press. Really these past few weeks have been overwhelming. The influx of stories of assault that women, men, girls and boys have faced have been heartbreaking and yet at the same time refreshing. Talking about sexual assault is difficult, but I feel like the only way to move forward and help victims is to talk about it more and stop it being such a hushed up subject. 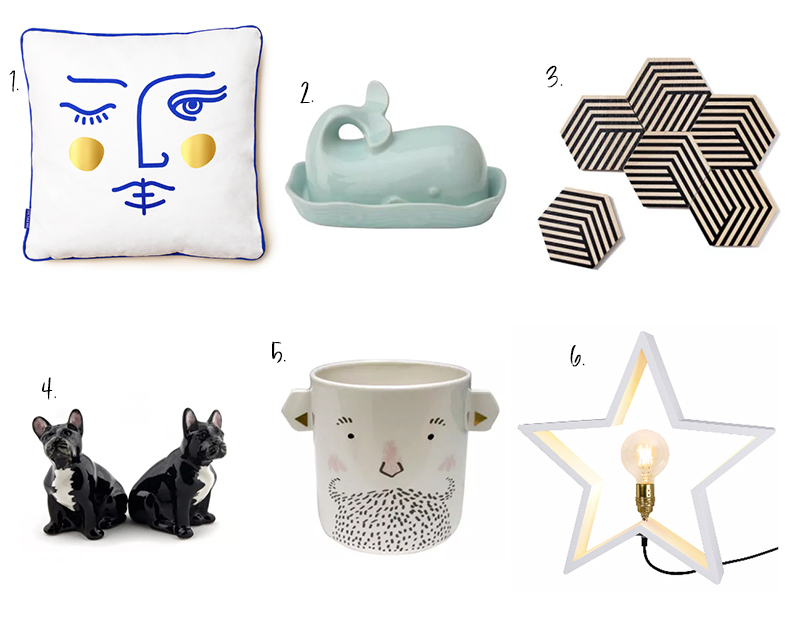 This week I've decided to share some of my favourite new additions to the homeware world. Christmas means not only an abundance of festive cheer, but an influx of gifts and homeware and inevitably an emptying of my wallet. 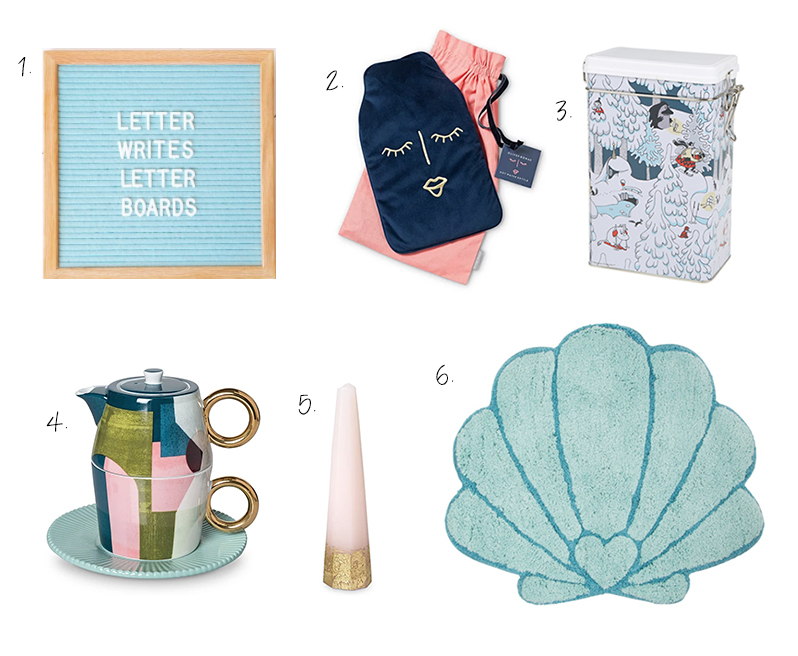 Picks are from Sass & Belle, Oliver Bonas, The Moomin Shop and Letter Writes. Halloween is in the air, and my last minute Halloween outfit skills are being put to the test. 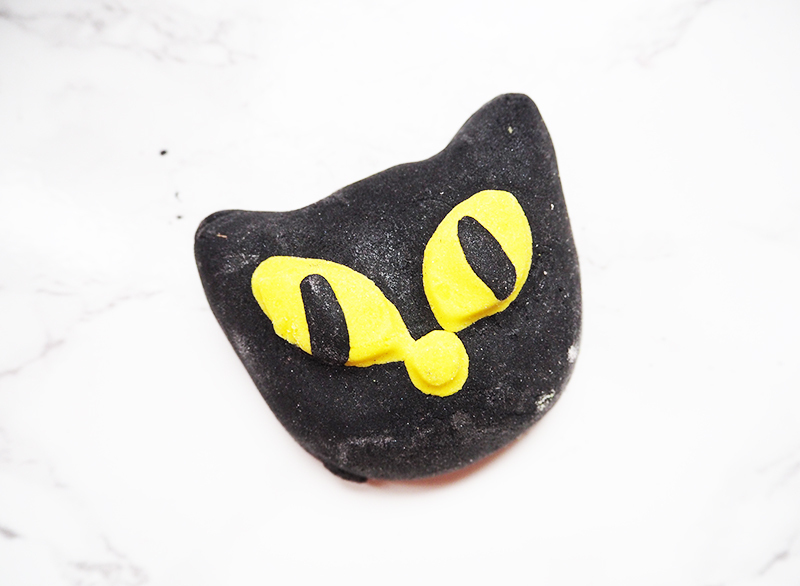 Let's just say that I'm that person who whacks on a pair of cat ears, badly draws whiskers and a nose and I'm done. 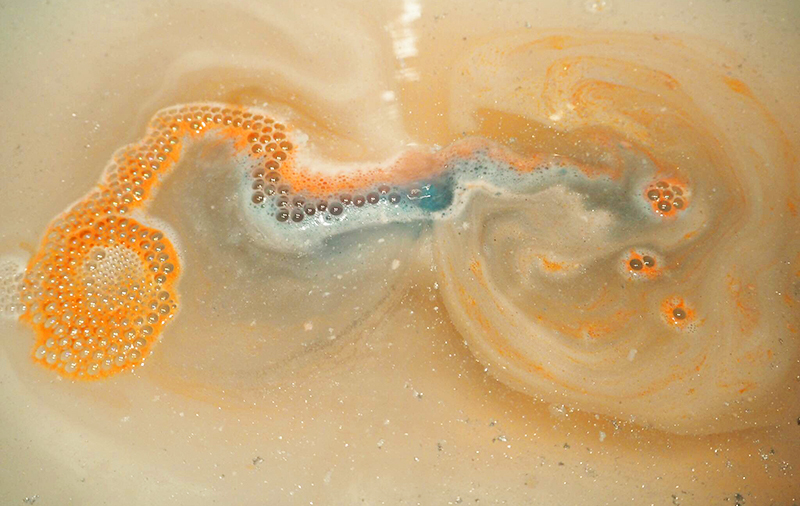 But of course one of the joys of this time of year is all the exciting Lush products that come out. 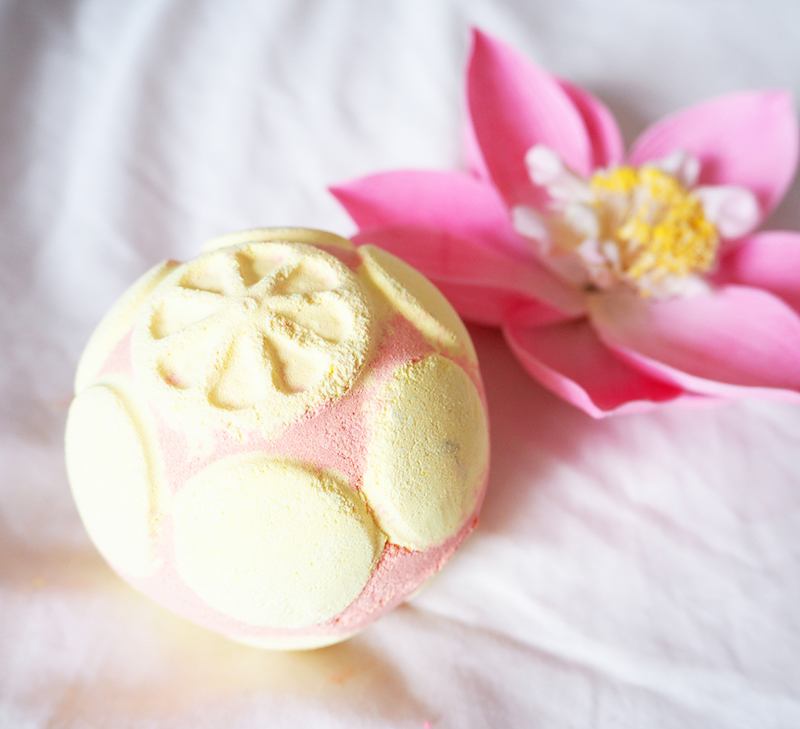 And like so many others my favourite this year is the Bewitched bubble bar (£4.25)! A lot of change has come my way the past week, hence all the quietness around my little old corner of the internet. 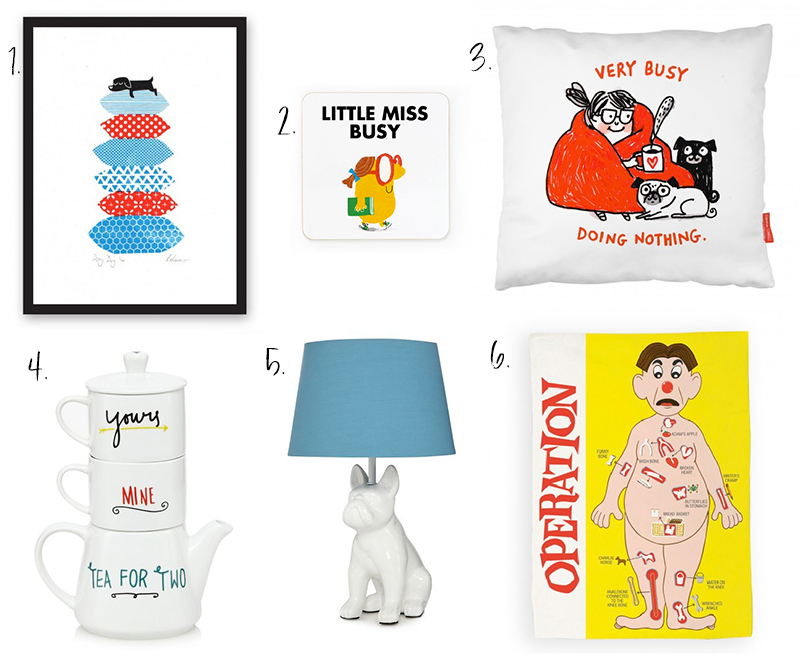 That said this Monday I wanted to bring you some really fun and cute homeware pieces to brighten things up a bit. 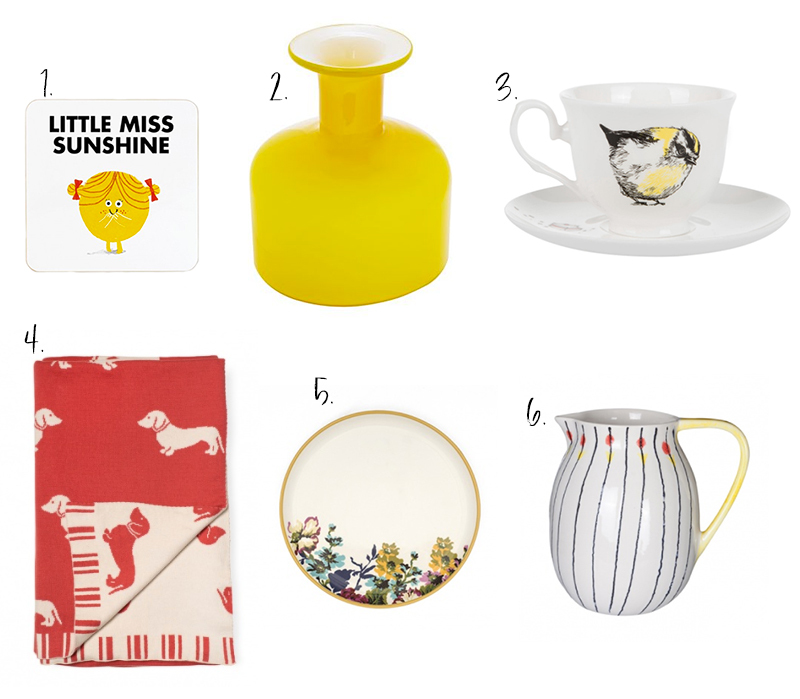 Picks are from Joules, Sass and Belle and Cath Kidston. If you follow me over on Twitter you'll know that it's been a funny few days but I'm actually feeling really good, and I'm totally surprised. 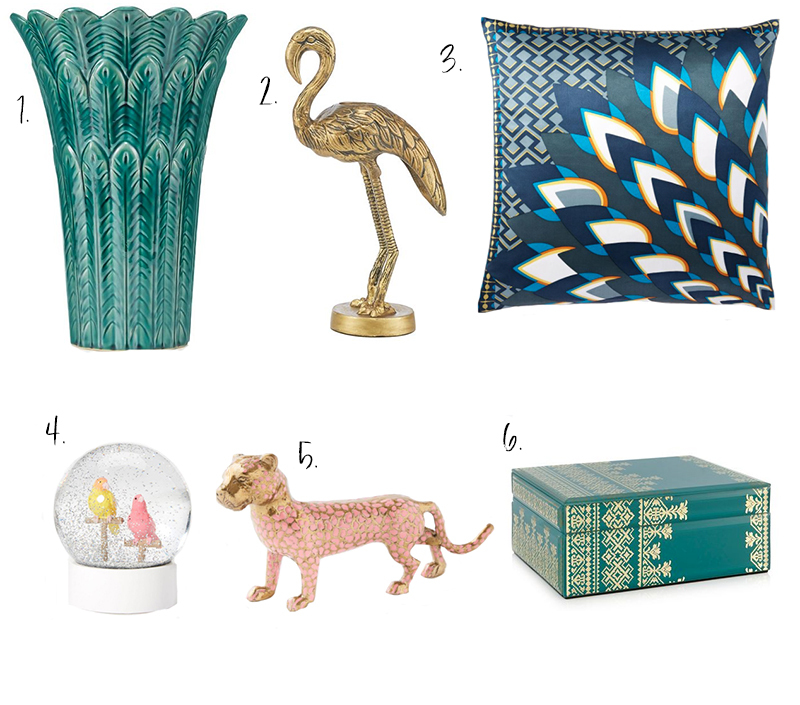 For this week I've gone for bold gold with fun ornate touches. 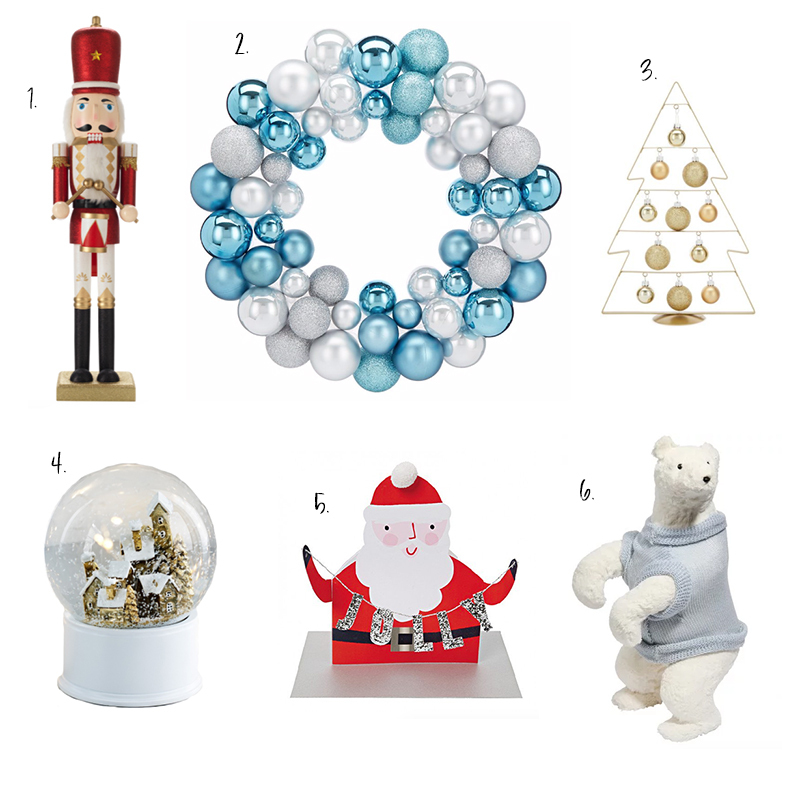 Picks are from House of Fraser, Marks and Spencer and John Lewis. It's that odd time of year again where the retail world seems to have decided that it's close enough to Christmas to send all the novelty merchandise our way. 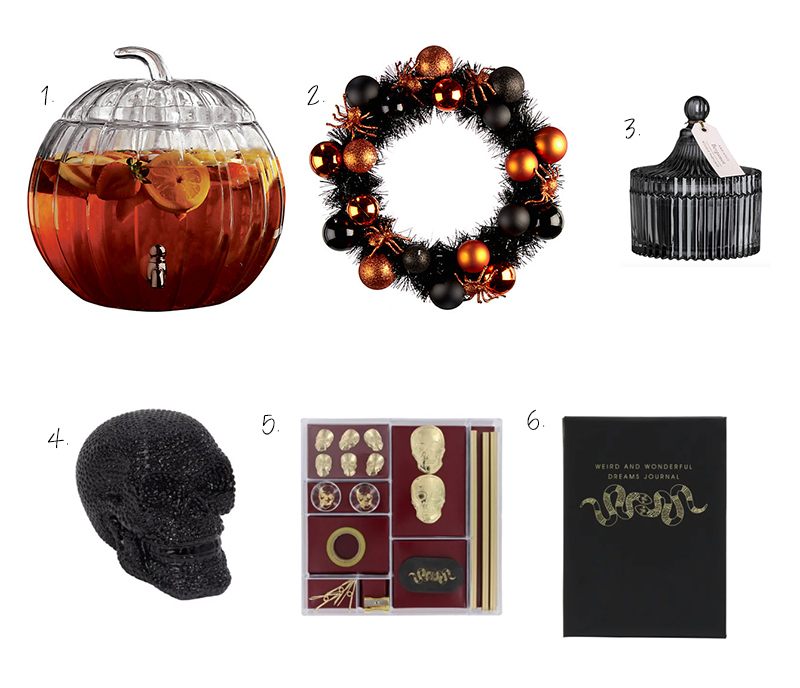 Now don't get me wrong I love Christmas, but can we please let Halloween have its day first? A lot of things have changed since I've started my first job. For one I've become intensely aware of how many hours I waste commuting. When I was at university these hours would usually be spent revising Korean and Japanese, but post degree I've found myself needing to fill these hours with something because commuting can be so boring. 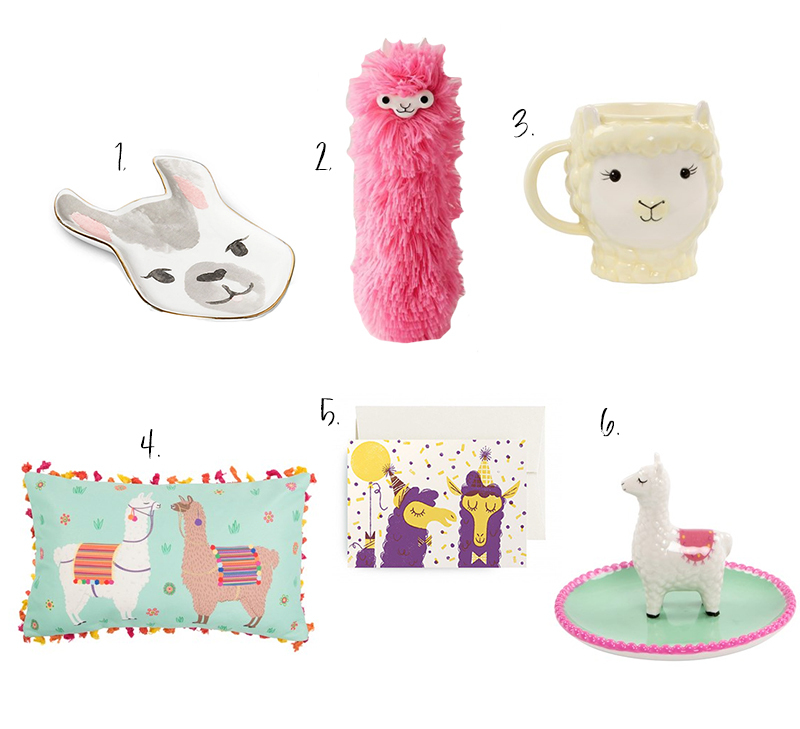 This week I've gone full llama novelty because who doesn't love a cute adorable fluffy llama? 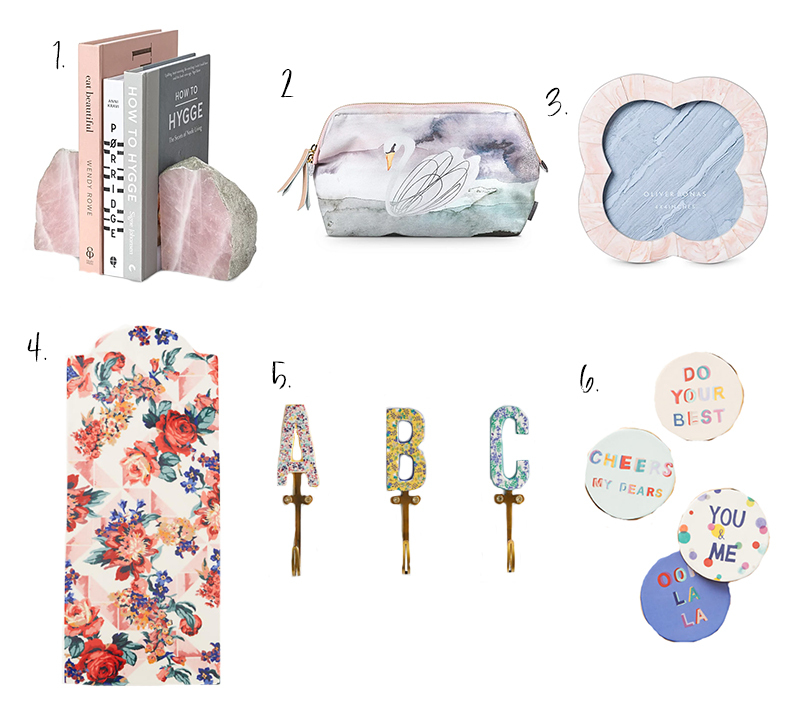 Picks are from OhhDeer, Sass&Belle, Urban Outfitters and Oliver Bonas. Enjoy! I'm writing this post after a rare productive day of taking blog photos for the week (mostly because I'm absolutely terrified of those shorter days and no good light) and it's got me thinking. 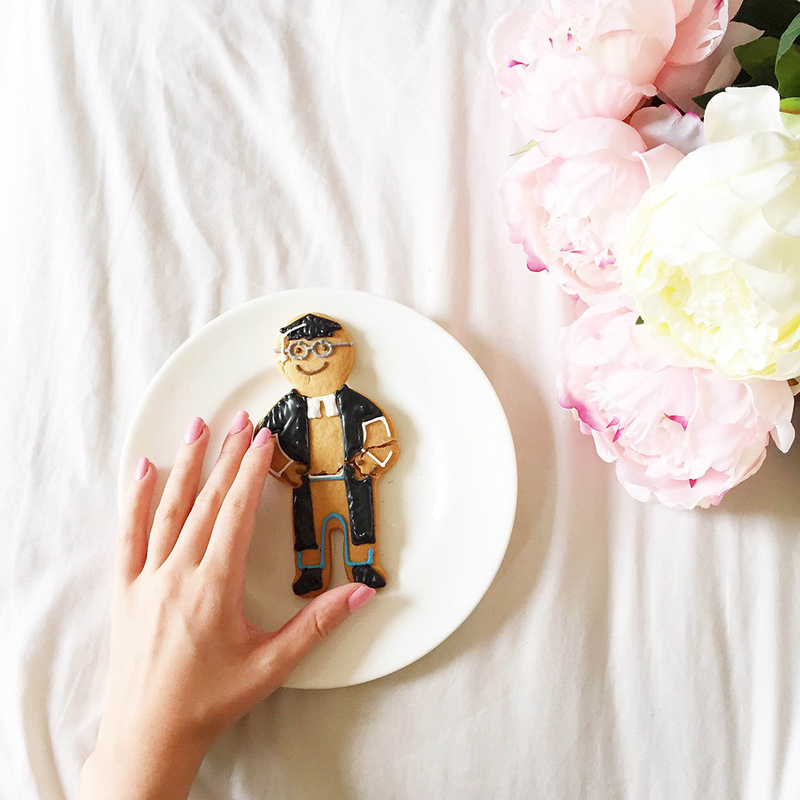 Juggling blogging and work is a right struggle, and honestly I'm finding it so hard to keep up with it all. Last week I only managed 3/7 days of my posting every day challenge (the first three that is) so perhaps I've learnt that when you have a full time job it's perhaps best to just take it easy. In all honesty I had a bit of a bad end to my week, but it was all saved by a lovely weekend including seeing one of my favourite performers, G-dragon. His concert actually put a lot into perspective and I'm feeling very fresh and motivated to create some fun and engaging posts for you all (if you have no idea who he is, he is a very creative and quirky man). Just google him ok? 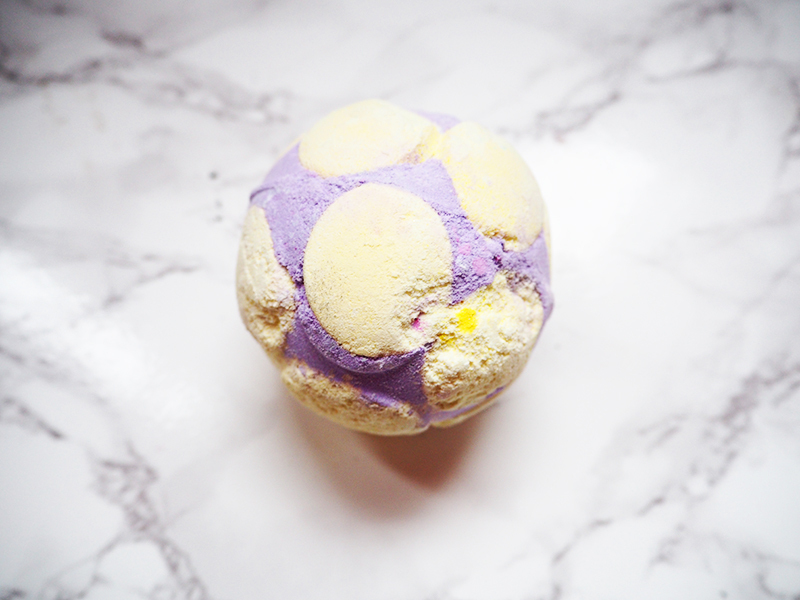 To jelly bomb, or not to jelly bomb that is the question! 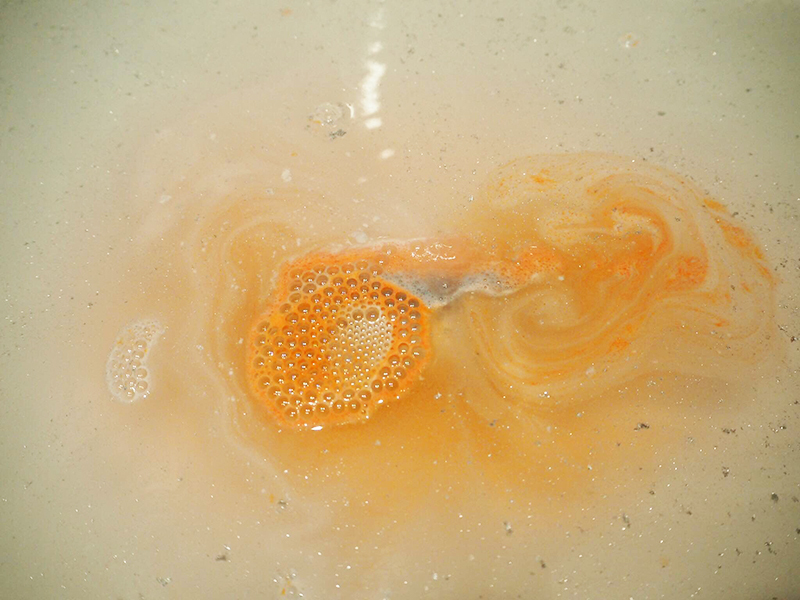 After first trying The Big Sleep Jelly bomb I've been wondering whether the jelly aspect is really worth it or is just a bit of a fad. 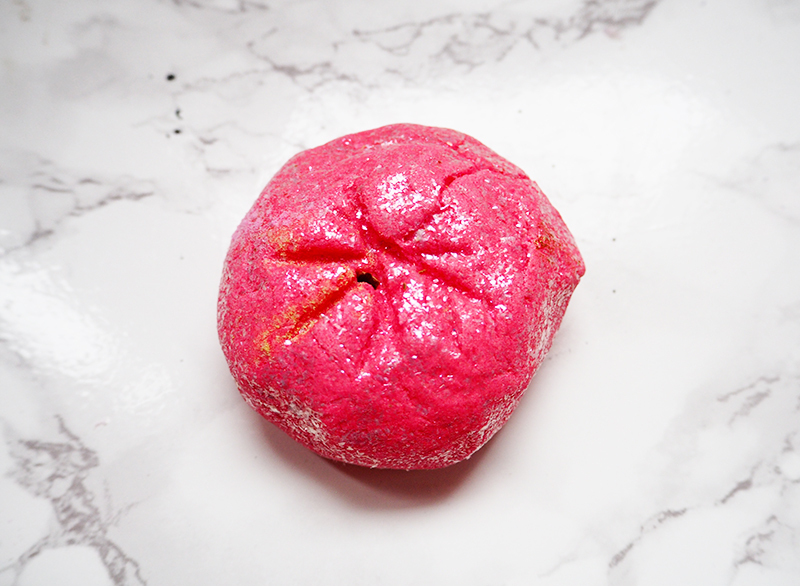 So here's what I thought of the Marmalade Jelly bomb (£4.95) and whether or not I've started to go a bit wobbly on this whole jelly concept. Oh my god. Saturday was amazing *breathes*. 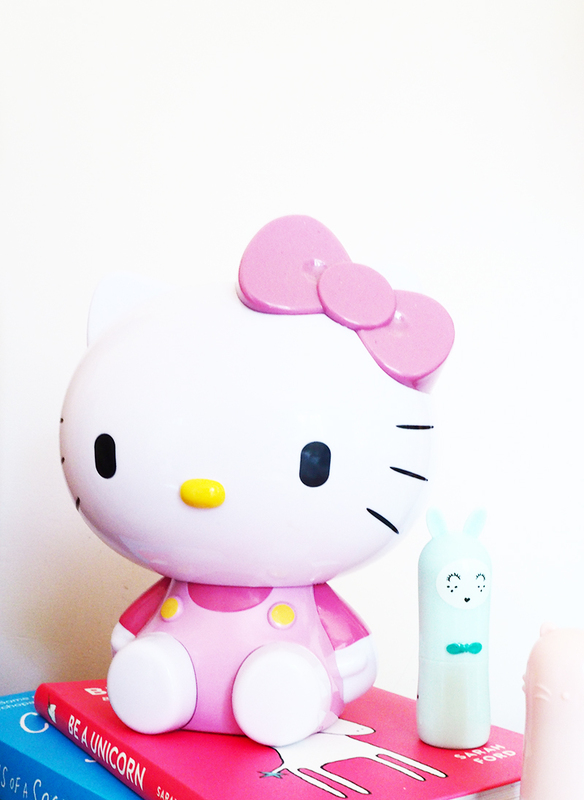 Let's just say I went peak Hello Kitty fangirl and I'm not even sorry. 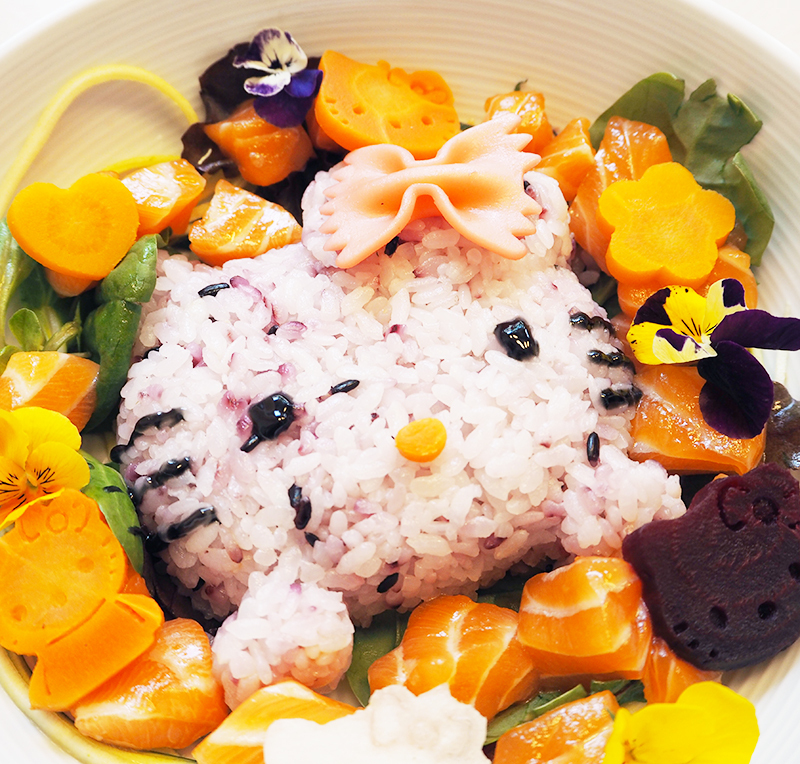 Just imagine me as a super happy four year old adult and you'll understand how I felt when I went to the Hello Kitty cafe pop up at Tombo. And yes I really did love it that much, I'm not even exaggerating but before I go on and on, let's get into all the lovely details. Last week was a complete and utter write off. I'd been feeling ill for about two weeks so I spent most of it in bed after work completely exhausted. However this week since I'm feeling a whole lot better I've challenged myself to post every day. No promises I'll manage it, but it's definitely worth a try! 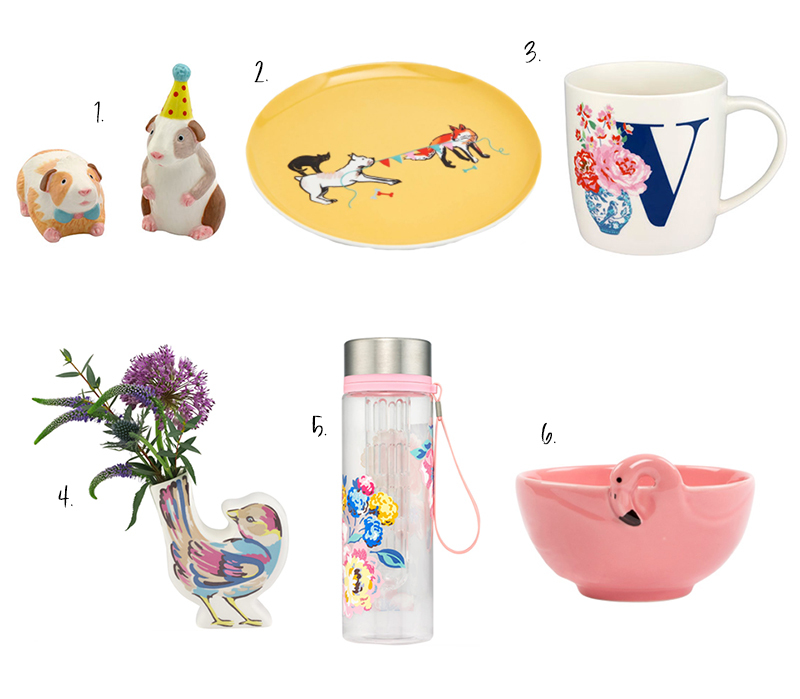 This week's picks are a fun mix of colour from Debenhams and Ohhdeer. Autumn means a lot of excitement over fluffy jumpers, crunchy leaves and cosy nights in but for a lot of us it can be a really hard time. Don't get me wrong I LOVE AUTUMN but the days are shorter, colder and it can be hard to keep those energy levels up. 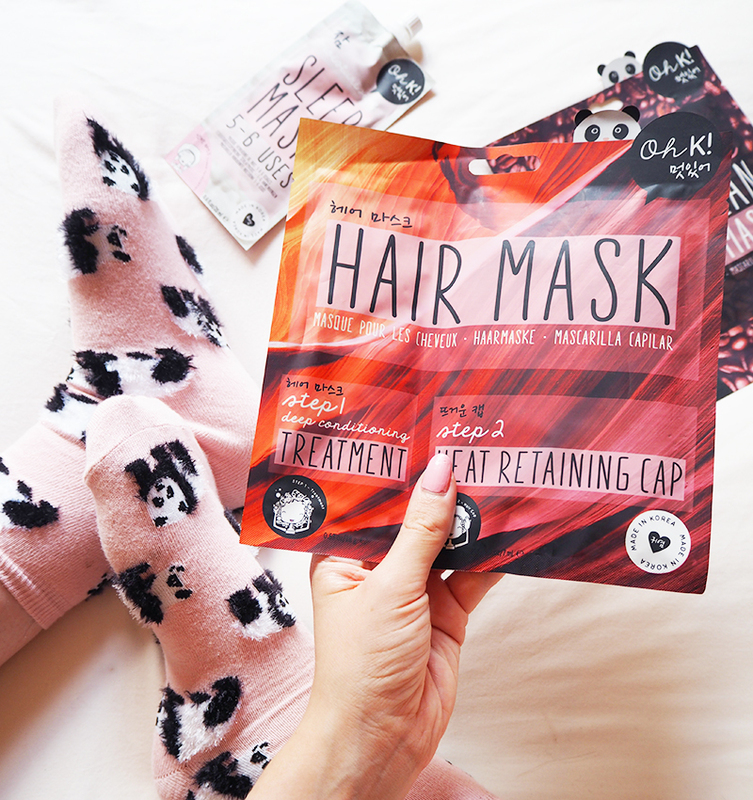 So I've written a post with a whole range of tips on how I personally survive those colder months. 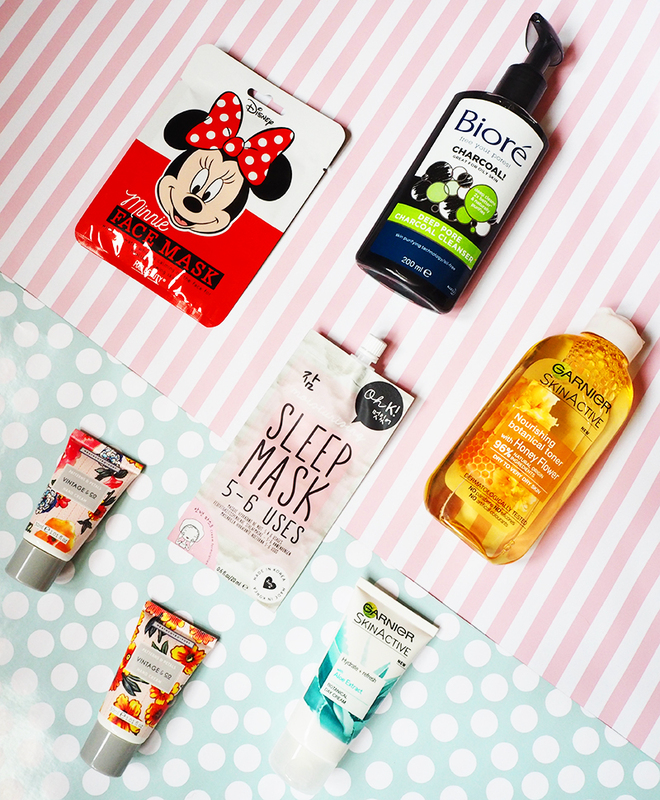 You know that feeling when your skin is a mess, you feel super meh and you just need a pick me up? That was me a couple of weeks ago when I completely splurged on all the beauty bits with a side helping of chocolate and fashion magazines. 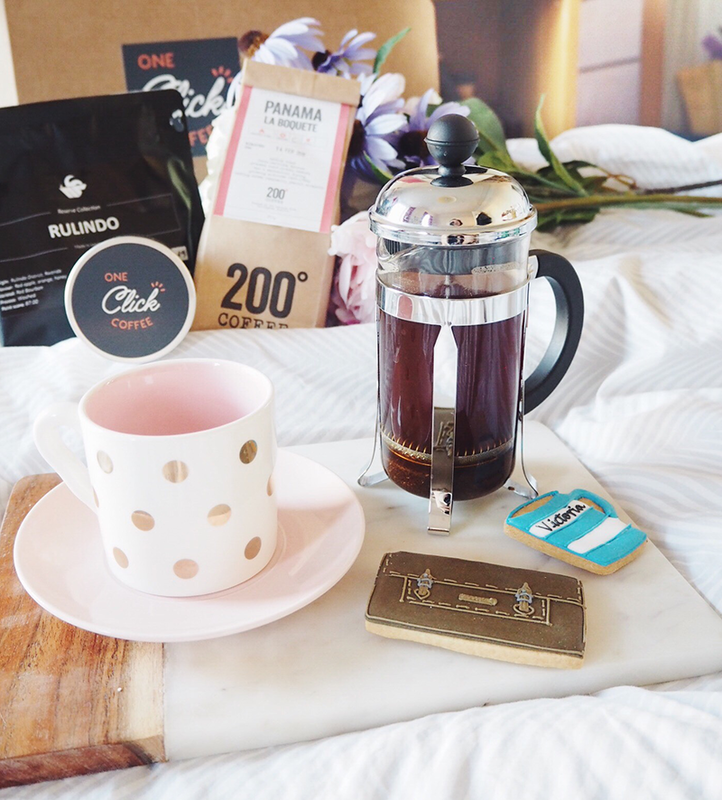 It's unlike me because I'm a bit of an anxious spender (except when it comes to overpriced coffee) so I thought I'd share this rare beauty haul with you all! 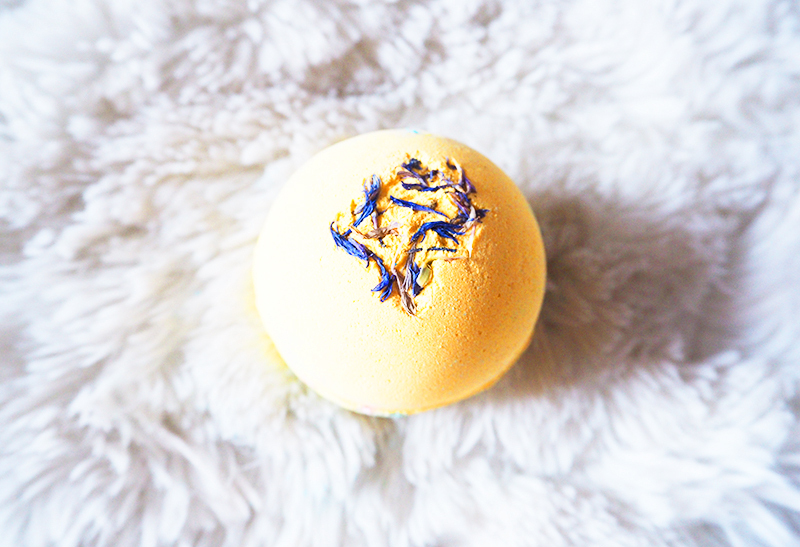 Amongst Lush's new exciting release - the jelly bombs, it's easy to get lost. 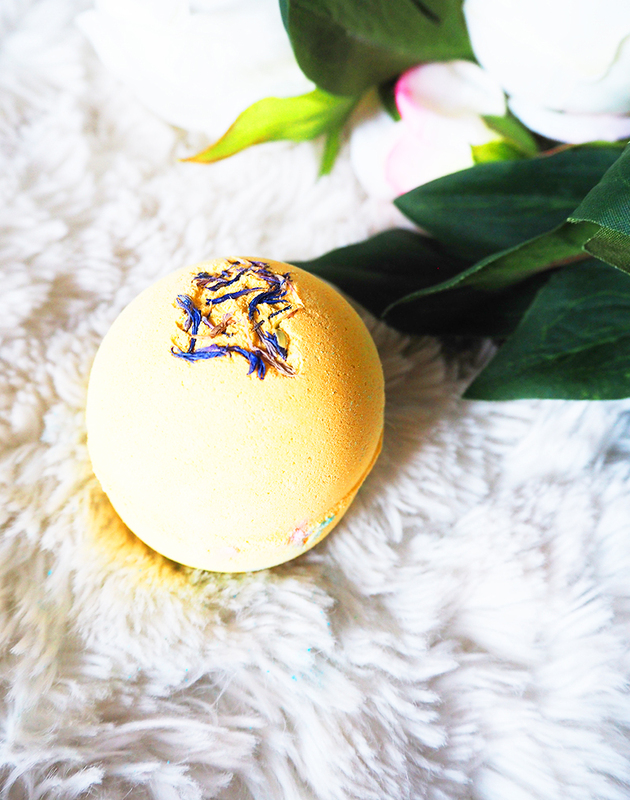 But Lush's Cheer Up Buttercup Bath Bomb £2.95 still stands out with its chirpy name and sunny exterior. 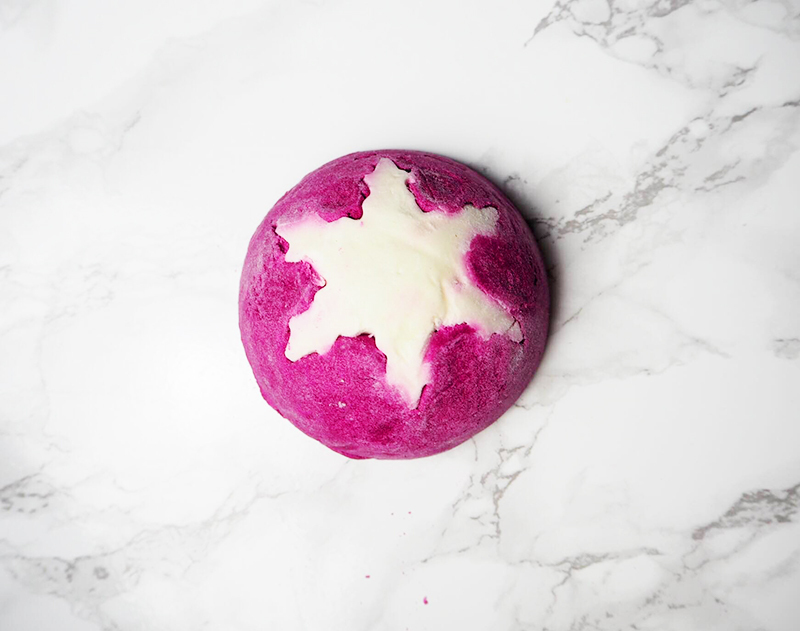 With a simple design, it's reminiscent of Lush classics Avobath and Blackberry, that look simple but have scents that pack a punch. 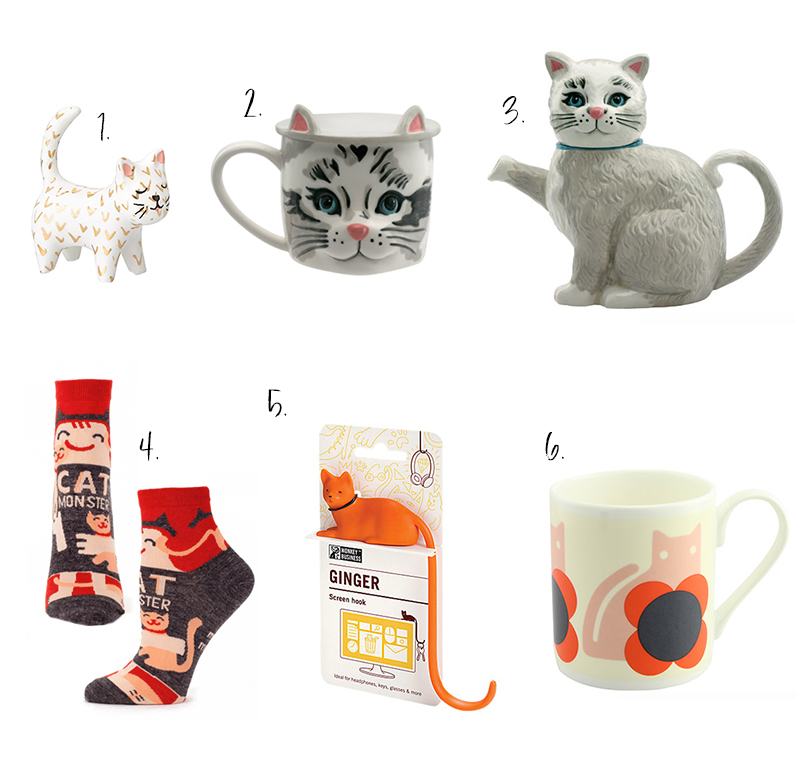 This week I've been paw-sitively feline inspired by a meow-tain of cat homeware... Ok enough of the cat puns, but please be at least a little bit impressed. 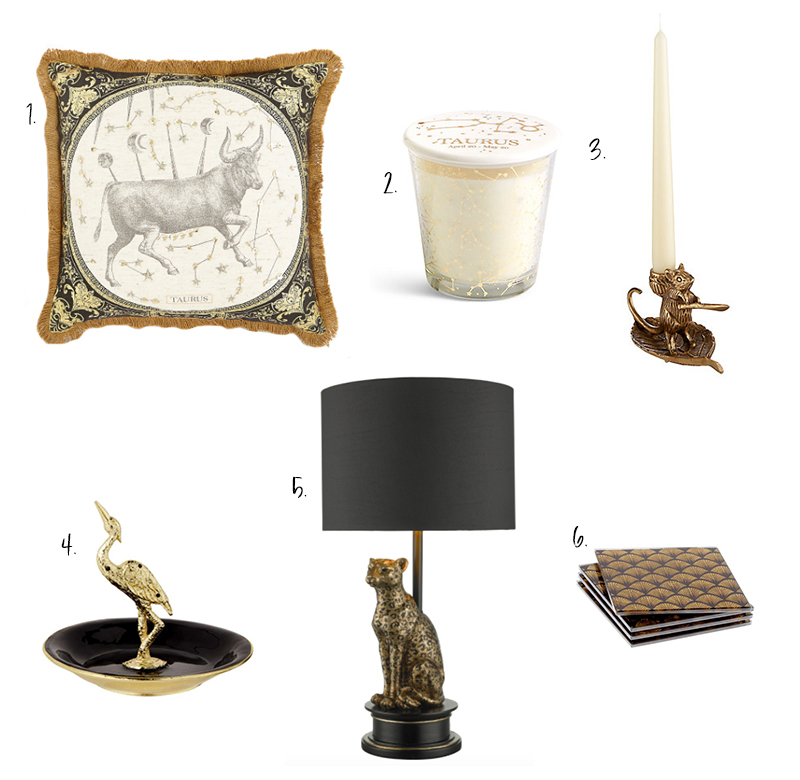 As you've guessed this week is all one big homage to our furry feline friends. 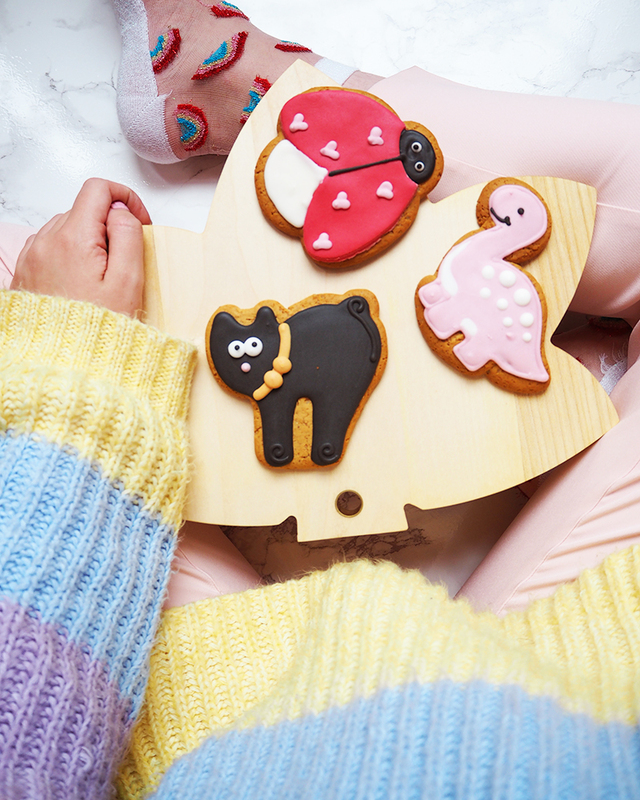 Go on, embrace your inner cat lady! 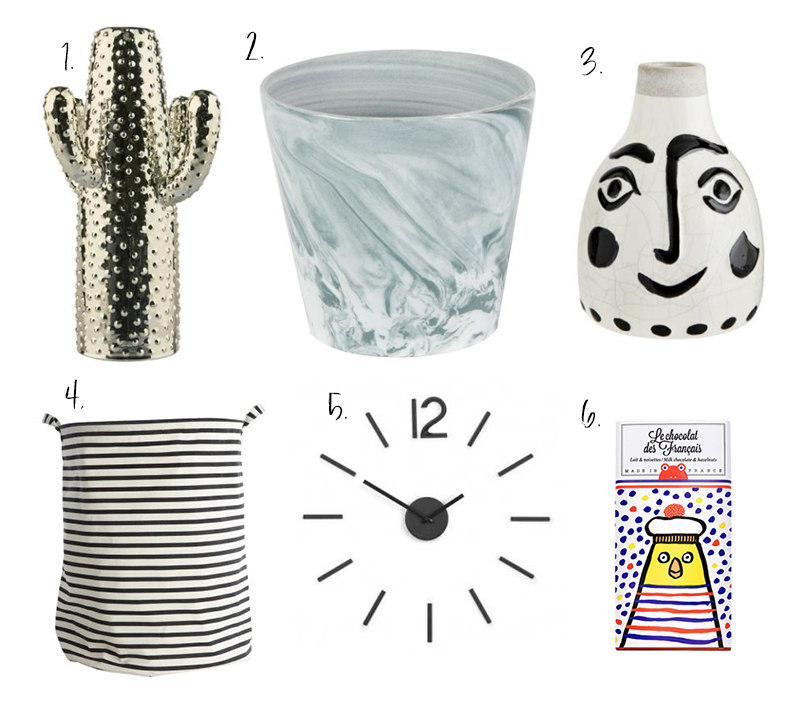 Picks are from Oliver Bonas, Cath Kidston, Ohh Deer and John Lewis. 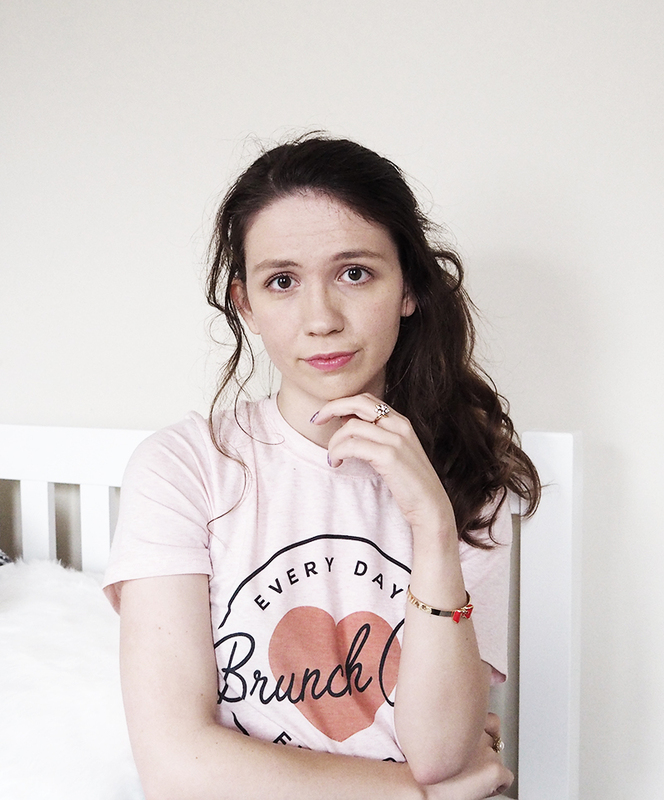 For three years I have been blogging, pretty much every single week, creating new content and taking who knows how many photos. And of course I love it - it's become such a big part of my life whether it's the friends I've made or the skills I've learned. 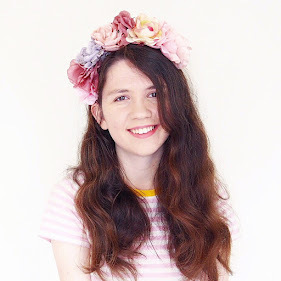 Blogging has been really life changing for me, and I've definitely not lost the passion. 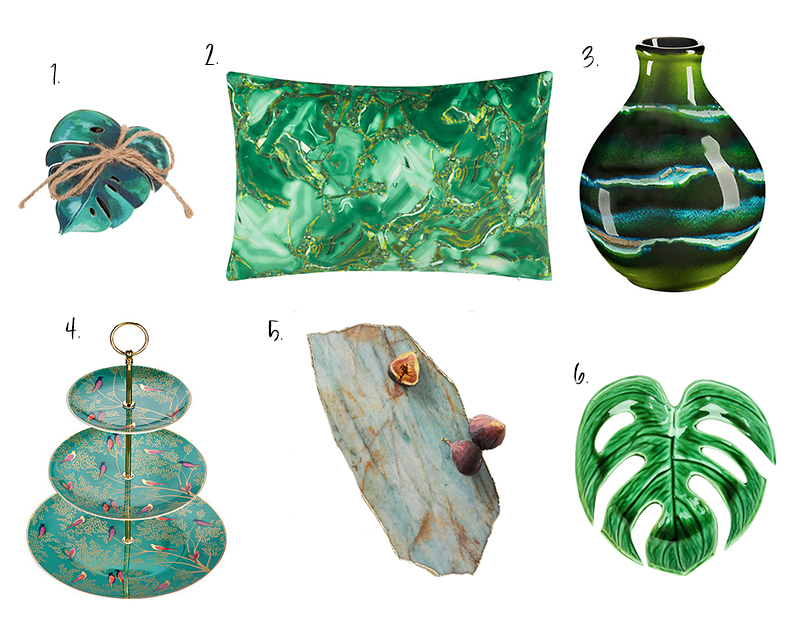 Recently I've been pinning like a mad woman, and my latest obsession is colour dedicated boards on Pinterest. I love the way in which colour can so easily make us feel things, and yellow is a colour that I've really fallen for. 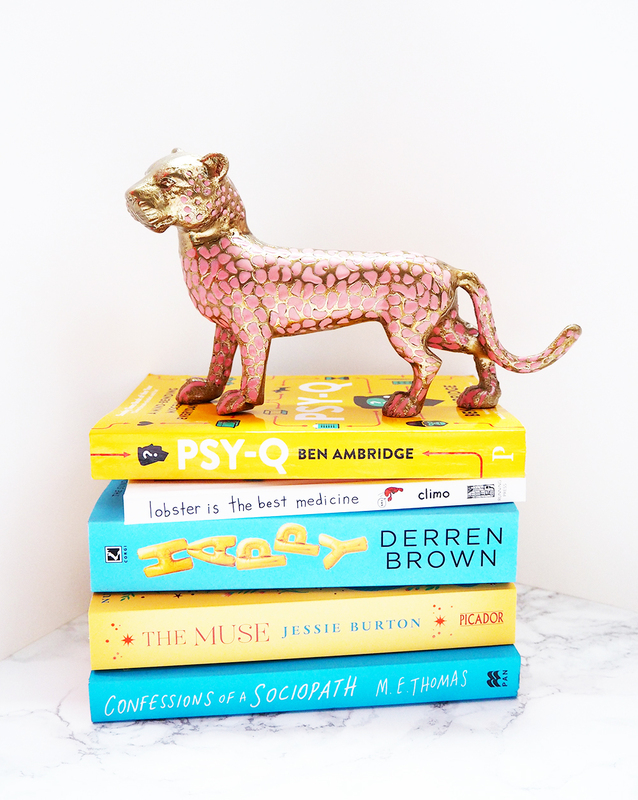 It's bright and happy, bold and unapologetic and so I decided to go all yellow this week with just a touch of red. 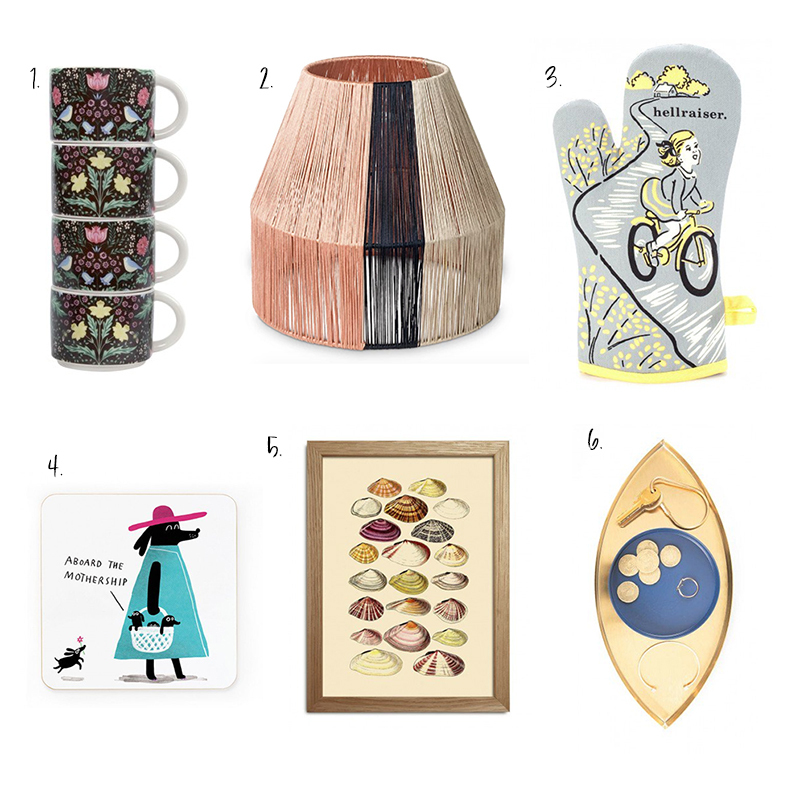 Picks are from Unique and Unity, Ohh Deer, Debenhams and Amara. 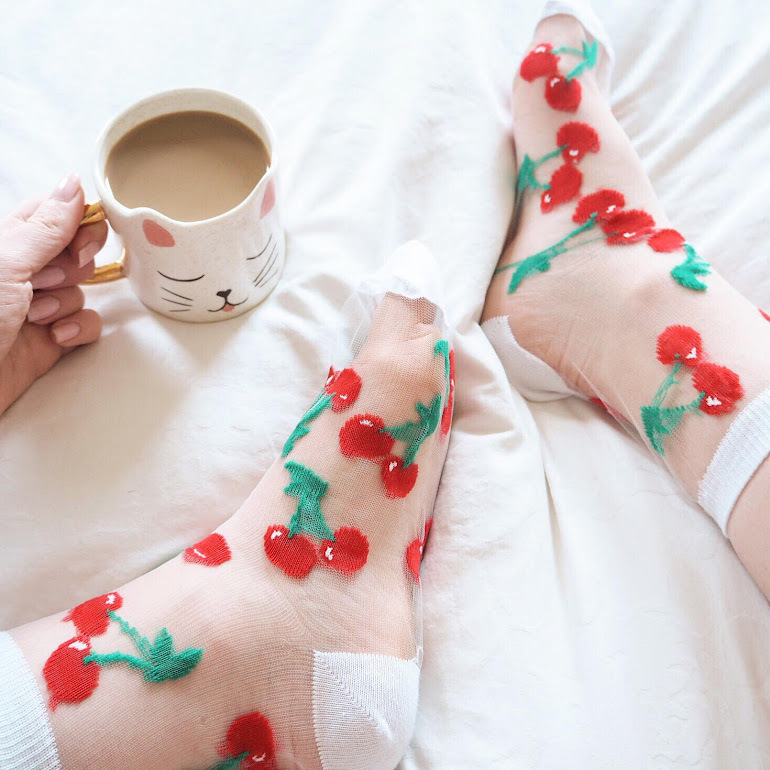 Korean beauty is making its waves through the beauty industry - and it doesn't surprise me one little bit. If you've been lucky enough to ever visit South Korea, you will know that the beauty scene is completely ahead of its time. Think pretty packaging, amazing skincare, novelty items and iconic Korean brands like Etude House and you'll get why there is so much hype. Today is just one of those Mondays where I'm really tired and honestly cannot be bothered (so basically like every Monday). So I thought I'd go for a fun colourful scheme to cheer things up a bit, with a few fun touches. 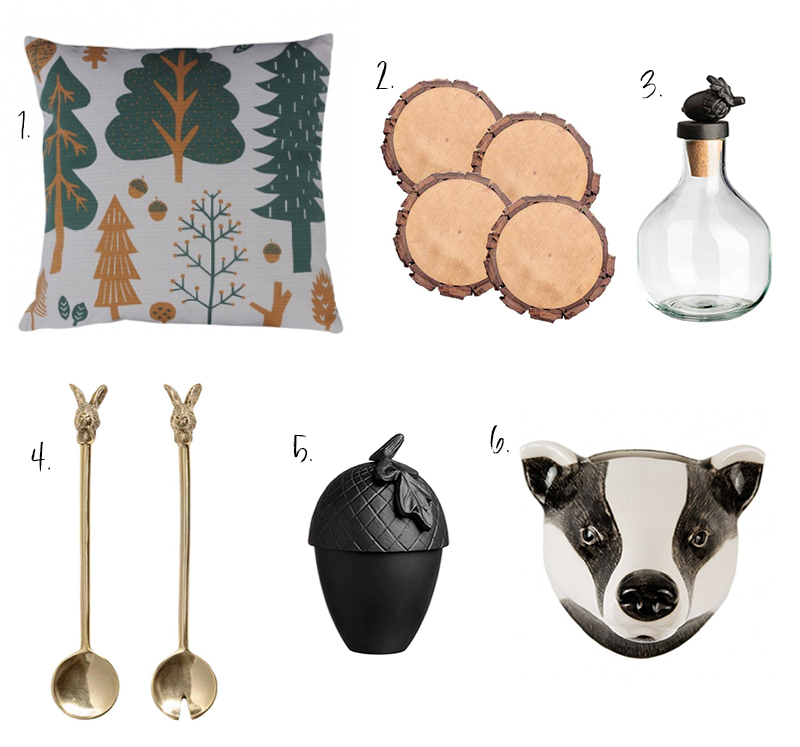 Picks are from West Elm and Debenhams - enjoy! Somewhere along the line when I was struggling to think of blog post ideas, I thought why not write about novelty tea bags? And so here we are today talking about these A-dorable tea bags that I shipped all the way from France. Yes, I know someone needs to take my money away from me. But to be fair they are super cute, so can you blame me? 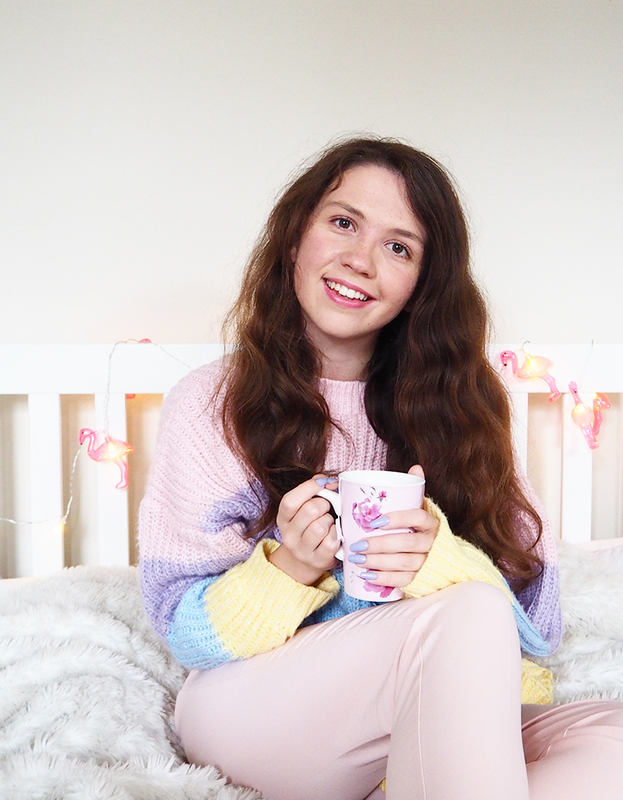 Usually I take a lot of my inspiration from the seasons, with cute pastel palettes for Spring, tropical touches for Summer and cosy blankets for Winter. But this past week... well it's been very rainy and also humid. London has been like an awol rainforest, and hasn't felt like Summer or even Winter. 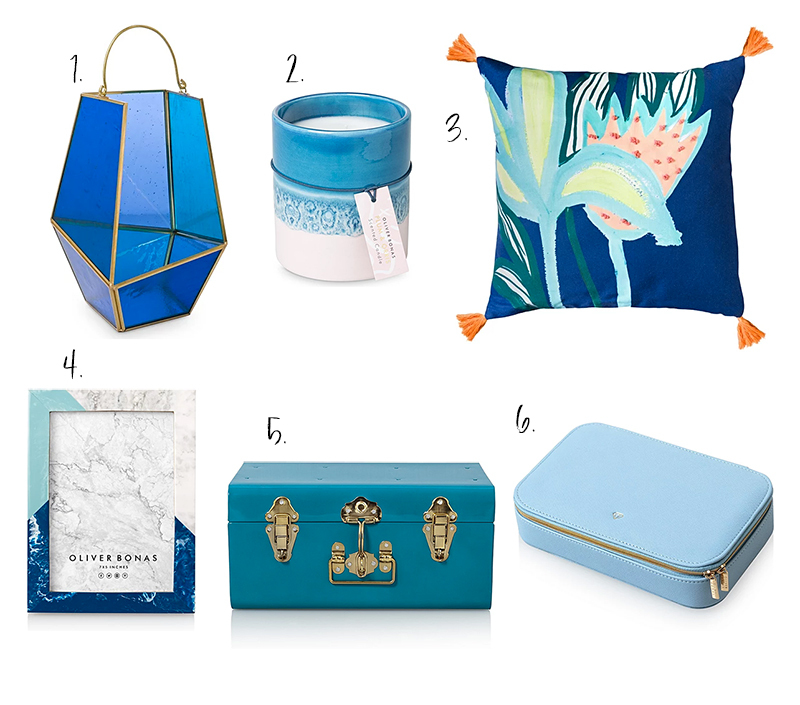 So I've taken inspiration from the rain and gone VERY blue this week. Enjoy! This weekend I have found myself very much in the company of my own thoughts. I am the queen of over-thinkers anyway, but extremely dodgy internet connection, long country walks with Flossie and the absence of my boyfriend who’s away on a mini break have left me in a deep thought quarantine. Life at the moment feels very much like one chapter has closed, and another has begun. After finishing my exams, I quickly got an internship in social media that has now been turned into a permanent job as a Marketing Assistant. My anxieties about getting a job, and more importantly fitting in at that job have suddenly flown out of the window and the pages of my life are turning over effortlessly. I will also graduate this Friday with a 2:1, and leave education for the first time in almost all my life behind me. When it comes to fashion I am exceptionally picky, and when it comes to shoes I'm a whole other level of picky. I'm like Goldilocks - my shoes have to be just right or there's no way they're for me. Now, my latest love has been ankle boots. I cannot for the life of me stop buying them even though it's Summer and it's JUST TOO HOT. What I've noticed is that I only seem to buy my shoes from one place these days, and that's Topshop. The main reason is that I get blisters so easily, and if I get shoes that are even vaguely uncomfortable it's like a foot massacre. Topshop shoes however have never had any problems with my wide feet, so I can definitely vouch for their comfiness. 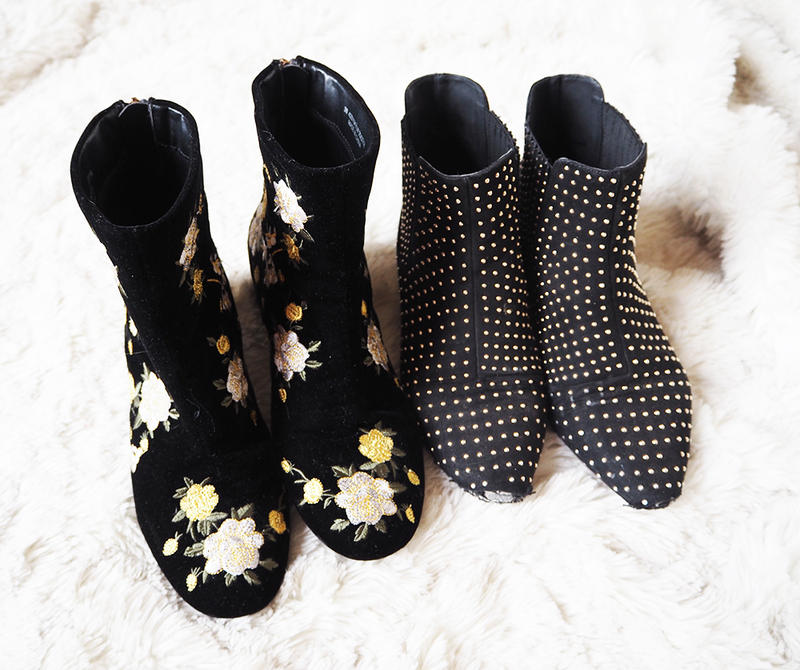 The beautiful embroidered boots of dreams on the left are beautiful, but not so practical. To be honest I love them but I hardly wear them because I'm so scared they'll get ruined. That said they are the perfect shoes to make a casual outfit pop. When I first bought these shoes a girl chased after to me to ask where they were from so you can tell, they're really nice boots. My only issue with them is the zip at the back which never wants to close - so annoying! Also, shoot me but I'm kind of over every shoe I see being embroidered. Don't get me wrong, I LOVE ALL THE EMBROIDERY, but is anyone else bored? 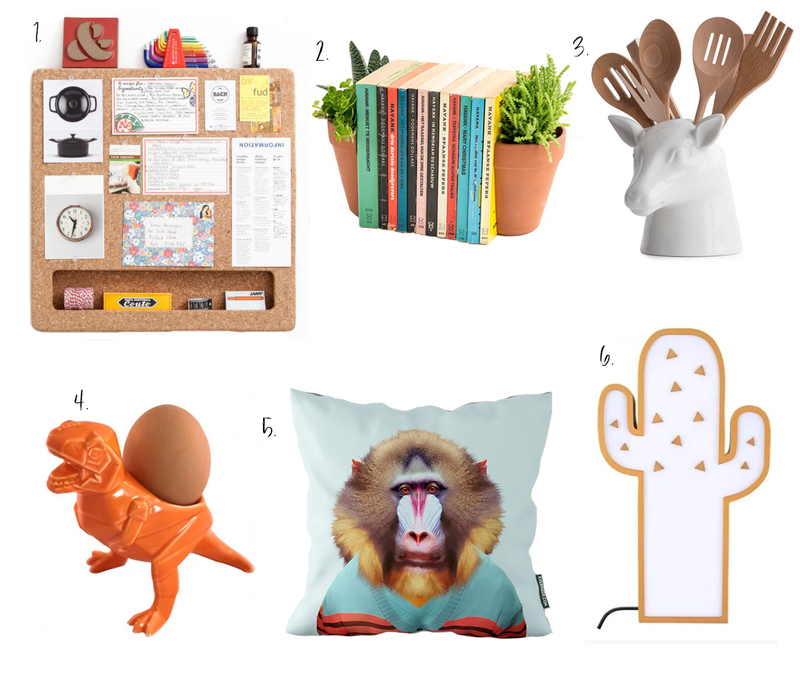 The pair on the left I saw in my lunch break in a Topshop advert, and I KNEW I needed them in my life. 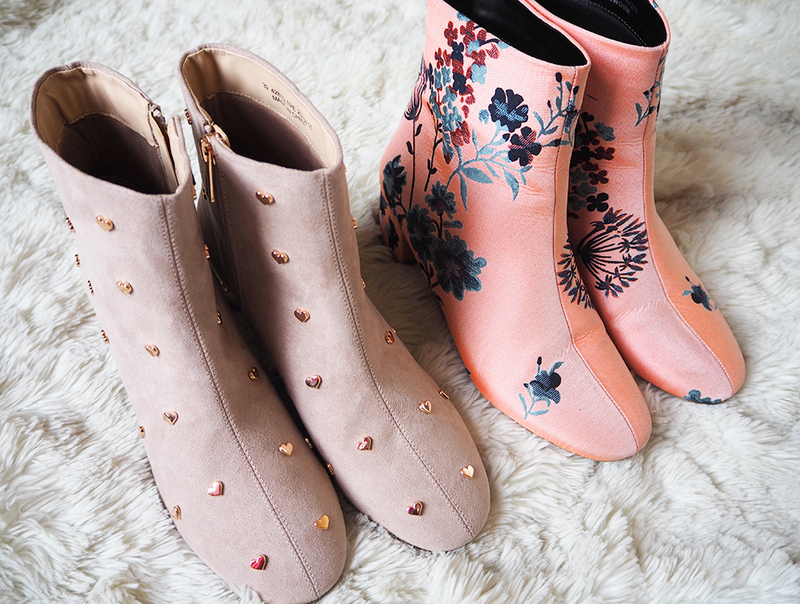 They're basically the taupe, rose gold heart boots of dreams that are also totally impractical. Probably should have got the black version because adult life decisions, but they were just too pretty to say no to. My other pair were a complete sale steal at only £15.00! I'd actually seen these boots before and been a bit unsure but there was no way I couldn't get them for that price. I love that they're a bit different. They're pink but more of a salmon than a super girly pink, and I love the cute little floral details. Oh and Topshop seemed to like my snaps of these two pairs, so there's that! 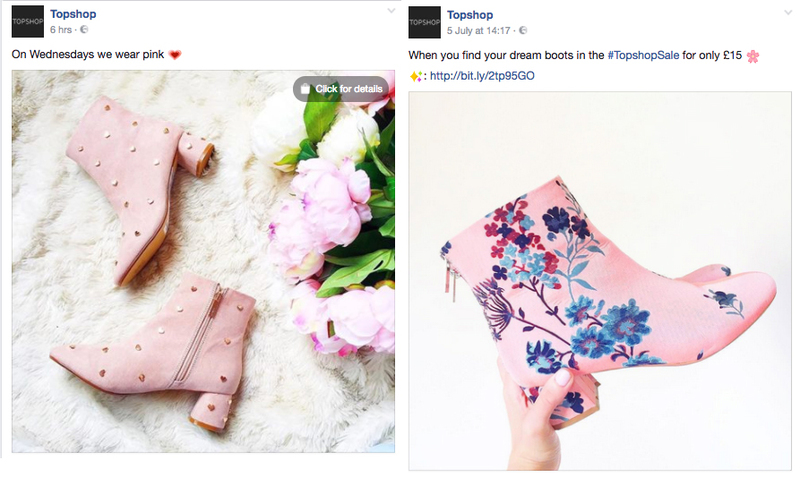 Wish Topshop credited their pictures but hey ho that's big brands for you. *They did ask for permission to use the photos though! Basically as you can tell I really love Topshop shoes. They're comfy and a bit different, so I can't recommend them enough.